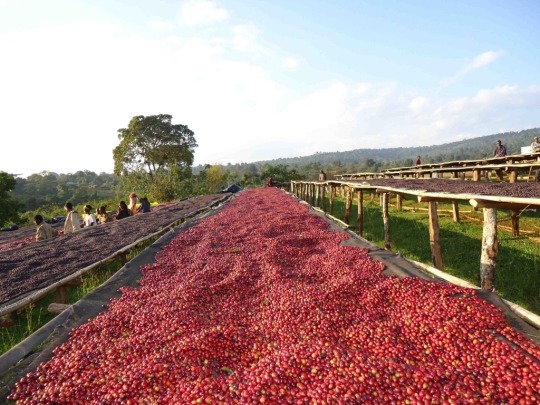 Harrar is known as “the coffee of kings,” grown in the original coffee country and dried naturally on the trees. This adds a wildness to the cup which is also spicy, fruity and flowery, quite complex. This coffee is versatile, with something good to offer across the entire roast spectrum and some even compare it to Mocca. As the original coffee plant discovered in ancient times by goatherds, Harrar is still grown on tiny organic farms and even picked in the wild. This primitive coffee is famous for its complex flavor with elements of blueberries, citrus, and cacao. A favorite of true coffee fanatics.